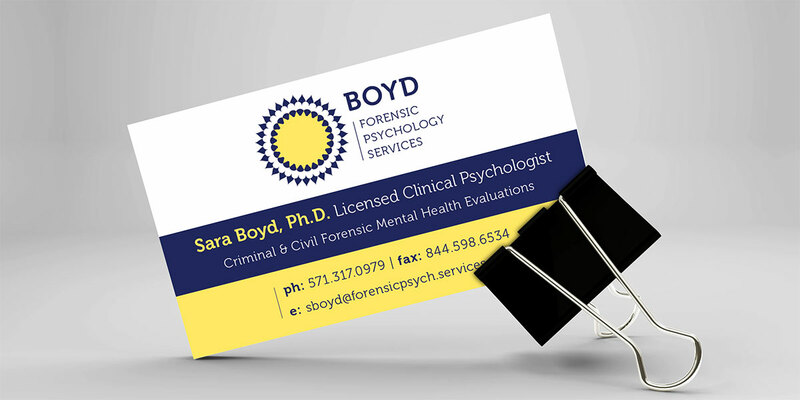 Sara Boyd, a licensed clinical psychologist, made a plan to strike out on her own and build a practice from the ground up. Sara was seeking a clean identity that could be both professional and striking–without being stodgy. We worked closely with Sara throughout the sketching and digital comp process to craft a brand and resonated with her personality and practice. 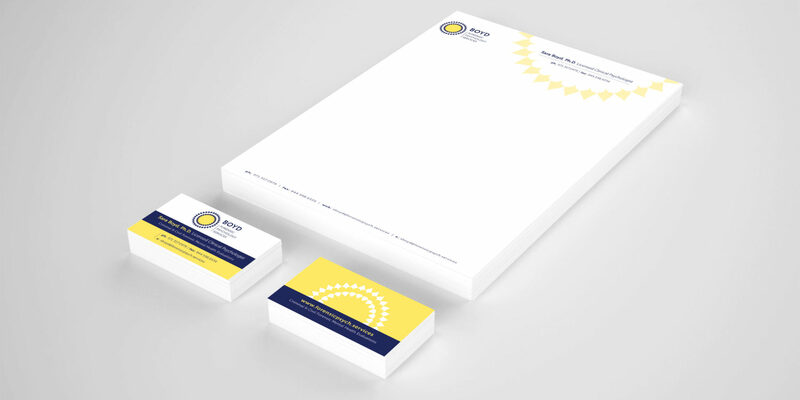 The result is a modern look with a traditional ‘corporate’ navy and a contrasting, sunny yellow. Sara’s brand is clean, confident and hopeful!